The man I am writing about in this year’s Trans-Tasman ANZAC Day blog Challenge (commemoration?) is not a relative. Initially I looked for someone who lived close to my One Place Study, Murphy’s Creek, and chose a man about whom I’d write. At midnight last night, something niggled me to look up men from Toowoomba and my decision was made. Victor Charles Sanders was a member of Queensland’s 9th Battalion, one of those men who arrived in wooden boats just before dawn on that first Anzac Day 100 years ago. Before the morning was out, perhaps even before the sun rose fully over the Gallipoli Peninsula he was dead, his life sacrificed in the Empire’s cause. Vic Sanders, as he appears to have been known, was not a fresh-faced young man, just looking for adventure. He had been born in the Queensland country town of Warwick 33 years and 11 months previously. Although Warwick-born his family had lived in Toowoomba for a while because he’d been educated at North Toowoomba State School[i]. By the time he enlisted, Vic had also travelled beyond Australia’s borders. His Roll of Honour Circular states that immediately before signing up he had been the “manager of (a) plantation in New Hebrides” and his attestation file lists his occupation as an “overseer”. Victor Charles Sanders stood 5ft 9½ inches tall and weighed 10 stone 11½ lbs: in current measurements, that’s 176cm and 78 kg. He had a dark complexion, possibly from his time in the tropics, and brown eyes and hair. 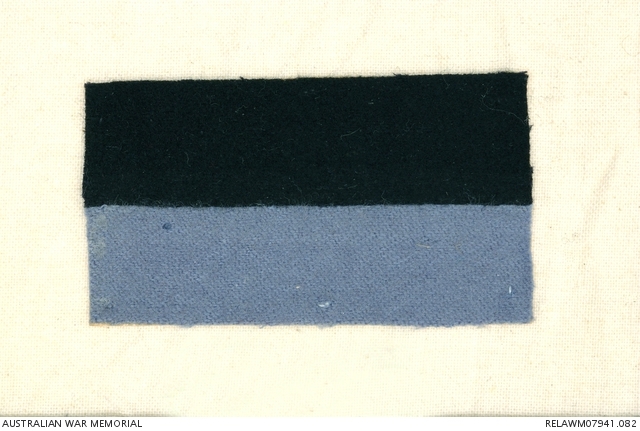 He enlisted on 26 August 1914, and was given the regimental number of 502 and allocated to the 9th Battalion, a Queensland unit. His parents were Thomas Harrison Sanders and Elizabeth Keith Sanders[ii]. 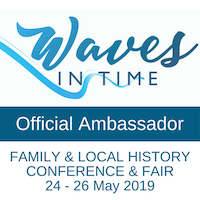 At the time of enlistment, Victor listed his mother as next-of-kin, living with her daughter, Emily Elizabeth and son-in-law Charles Fortescue, a jeweller in Toowoomba. Meanwhile Victor’s nephew[iii], 21 year old Charles Fortescue[iv] had already applied for a commission on 17 August and was also attached, as a Lieutenant, to the 9th Battalion[v]. 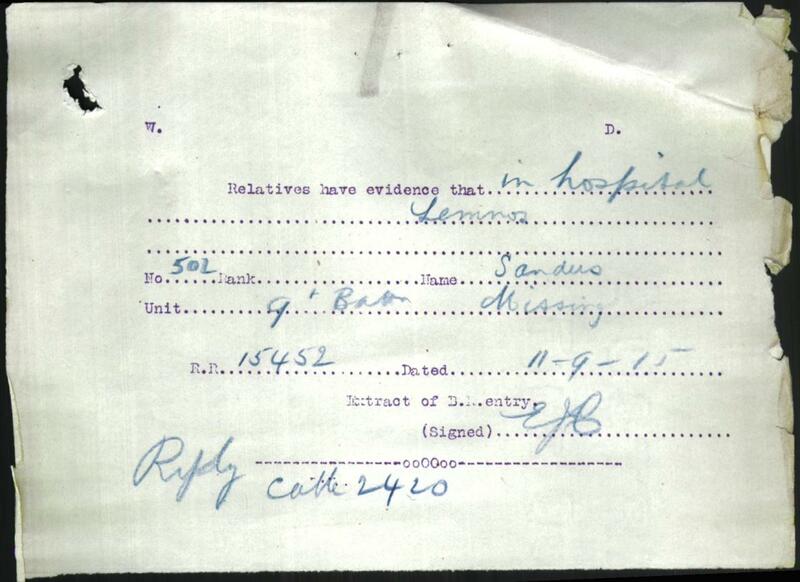 Later notes in Vic’s file indicates that he was attached to D Company, the same as his uncle and this is confirmed by the Embarkation Rolls at the Australian War Memorial (AWM). 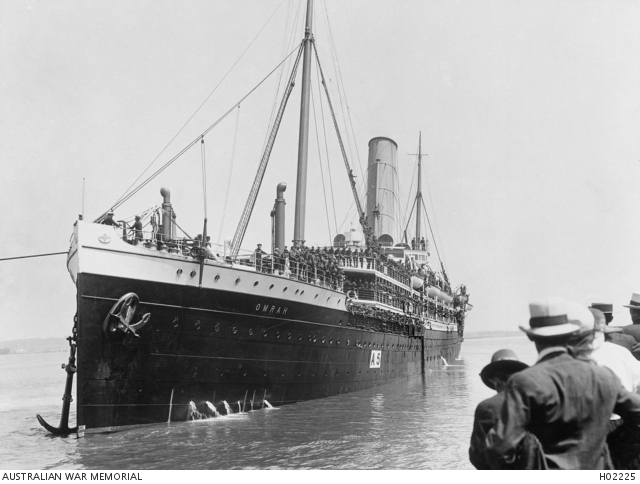 The Transport Ship, Omrah, leaves Pinkenba whart, Brisbane with the 9th Battalion. Did Victor’s mother and his sister and husband come to see their sons set sail? 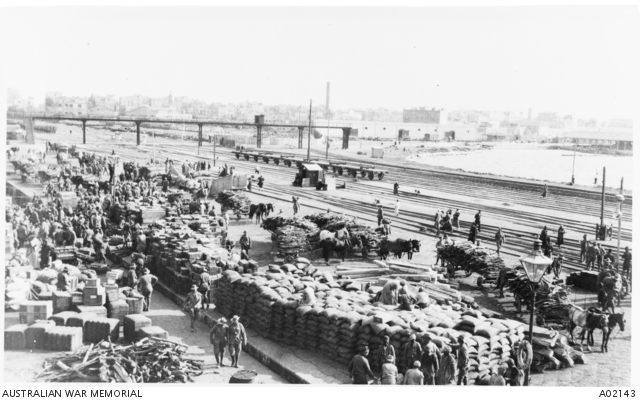 After training Victor and his military colleagues sailed from the Pinkenba wharf in Brisbane on the transport ship Omrah on 24 September 1914, no doubt hastened by the belief the war would be over before Christmas. 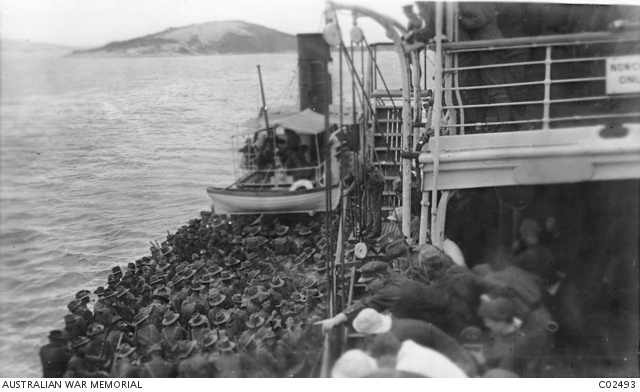 While on board they undertook classes and training and when they arrived in Albany, WA, they apparently undertook a training march though I’ve found no reference to that in Trove and haven’t explored the brigade or battalion diaries. I haven’t pursued what happened to the battalion in Egypt until they embarked on the ship Ionian, firstly to Mudros Harbour. AWM Image CO2496. 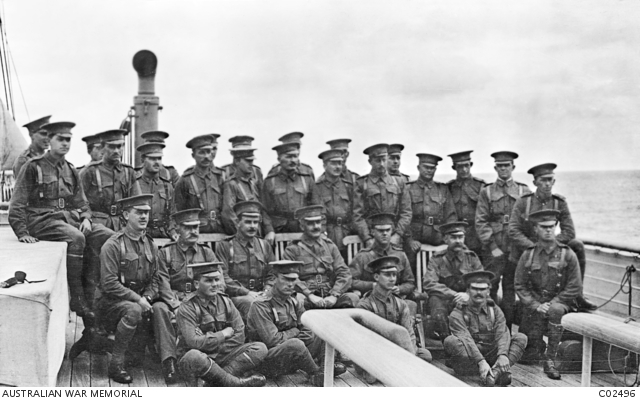 Lt Fortescue is 2nd from right in front row, on board Omrah. The actual landing would have echoes of this but without the opportunity to backtrack to the boats. However the die had been cast, and the men were to go ahead. 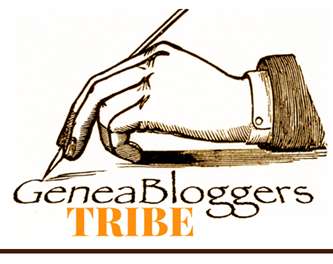 They were by turns nervous, excited, frightened…all perfectly normal and reasonable responses. However before they were launched off into the depths of their first battle the men were given hot food before embarkation, fed a decent meal rather than the usual army fare of sandwiches and hard biscuits[vii], thanks to Colonel Brudenell White’s detailed planning. 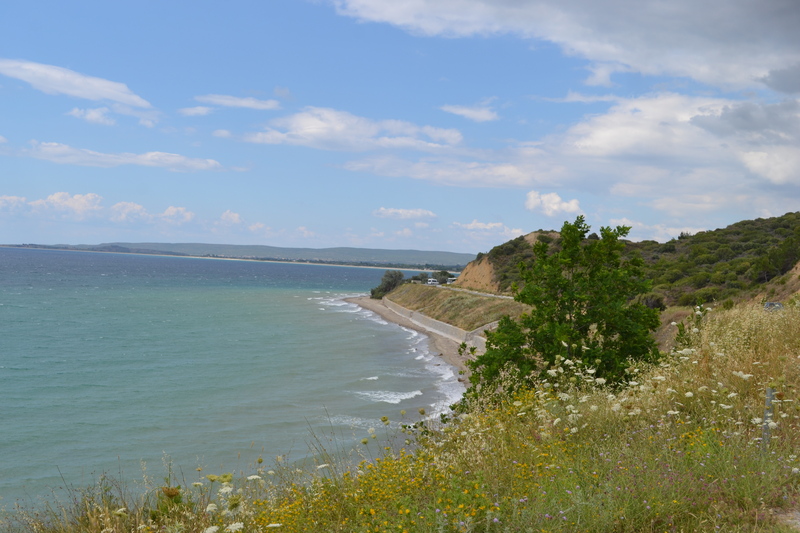 A tranquil day at Anzac in June 2014. The night was still and clear, the sea as smooth as glass, much as it was today on the 100th anniversary of the landing. Unfortunately the moon silhouetted the ships, alerting the Turkish front line, who while they were unsure whether they were war ships or transports, the limited Turkish shore platoons and reserve units were now on standby until the relief contingents could be brought forward[ix]. On the boats, the men were silent awaiting their baptism of battle. To Victor’s nephew, Lieutenant Charles Fortescue, it seemed “the noise of the pinnaces being filled, in the stillness of the night, was enough to make the whole world vibrate”[x]. Major Fortescue, spoke of a solid mass of Turkish bullets and a cacophany of bugle calls. ..However official historian Charles Bean disagreed. He concluded “was the beach the inferno of bursting shells and barbed-wire entanglements and falling men that has sometimes been described or painted?” Turkish artillery, in particular, didn’t start to fire shrapnel until 5.10am (some reports said 4.45 am), or about an hour after the first Australians landed[xi].” Bean’s theory fits with what is known from the Turkish archives: they were hanging on at all costs until they could be supported by relief troops. 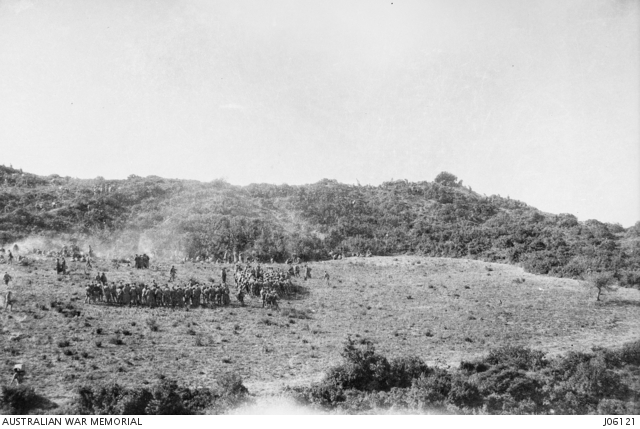 The first roll call of the 9th Battalion at Gallipoli a few days after the landing. The lack of numbers makes it more understandable how Vic Sanders’ fate could have been unclear. AWM Image JO6121. In the midst of this confusion of that first battle by the ANZACs, Victor Joseph Sanders was killed or died. Perhaps he was among those shot before landing, perhaps he was among those who drowned due to the depth of water, or perhaps he died later in the morning as the 9th Battalion made its assault towards Plugge’s Plateau and was lost among the crevices and gullies of those ridges rising up from Hell’s Spit at Anzac Cove. 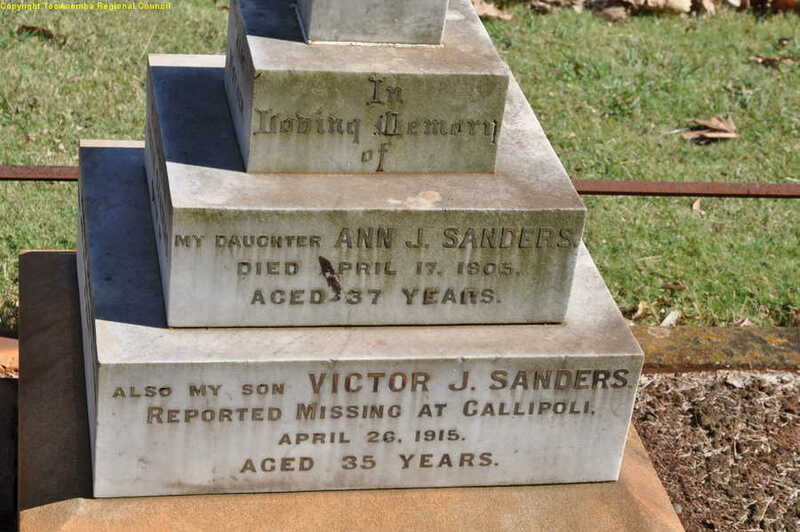 What is certain is that Victor Sanders was missing in action (MIA) from that first Anzac morning and was never seen again and his poor family was left in a limbo of confusion as to what had happened to him. Initial reports suggested he was MIA (missing in action). Later his cousin, William Sanders (#2430) had written to his father that Vic was in hospital in Lemnos which presumably he believed since no one could be cruel enough to raise such hopes in his family. The fact that Victor was in his nephew’s company and Charles Fortescue didn’t know what happened to him speaks volumes for the ambiguity and confusion of that first Anzac Day. From Vic Sanders’ Attestation File. In August 1915, Vic Sanders’ brother-in-law, Charles Fortescue snr, wrote to his local Parliamentary member, Mr Bloom, for assistance saying “As you can imagine, the women folk are exceedingly worried. From what the wife told me it will evidently be a considerable time before the Department get any information in the ordinary way”. He offers to pay for telegrams to the hospital at Lemnos but the responses remains negative. Eventually, in January 1918, Victor’s mother received a parcel of his belongings despatched per the Marathon. Included were 4 belts, housewife, photos, 2 knives, pouch, comb, corkscrew, “house” game, 2 notebooks and letters. What a treasure they must have been for his mother and siblings. For them to have survived it seems likely that either his pack was found though his body was not, or more likely, that he left them on the ship in case his number was up. As the months, and years, passed the questions remained. It’s hard to imagine two families living under the same roof, one proud of their son Charles Fortescue who was awarded his Military Medal and one worrying about the truth of whether their son and brother was missing, in hospital or killed in action or long since deceased. For me, it was Vic’s nephew, Major Charles Fortescue’s, report on July 11th 1921 that clinches his death “he landed on Gallipoli with the 9th Bn about 4:30am on the morning of 25th April 1915 with the company to which I belonged. No information has ever been received as to what happened to him from shortly after he landed”. And yet, on 29 July 1921, a letter from the OIC Base Records says “The Imperial War Graves Commission has sanctioned a continuance of the search, and in the event of a more favourable report forthcoming, next-of-kin will be at once advised.”[xiv] By then it is too late for his mother, Elizabeth, who died on 25 July 1920 – perhaps she had given up hope of her son returning. Despite the lack of pleading letters in Victor’s military file (so common among records for deceased servicemen) the loss and confusion is clear. No doubt his mother’s grief remained until her death in 1920. To my mind Victor Joseph Sanders serves as “Everyman” of the Gallipoli campaign. One of the earliest who landed on Gallipoli’s shores at Anzac Cove, his fate remains shrouded in mystery. He is not mourned in annual In Memoriam notices for continued periods – perhaps his family felt that would jinx his survival. That the details of his death are unknown even to close relatives highlights the continued ambiguity and confusion of that first day of battle. The length of time until his death was declared by a Military tribunal in France in June 1916 evokes the trauma and tension of his family’s wait. I’d have liked to find a photo of Victor among the Queenslander’s WWI images, but unfortunately it’s likely he’s among those whose details are obscured in the Queenslander newspaper editions of 3 and 10 October 1914. When I get a chance I’ll check the indexes at John Oxley Library. Despite the grief his family bore, it perhaps made it easier that he was not married and did not leave behind a widow or child. 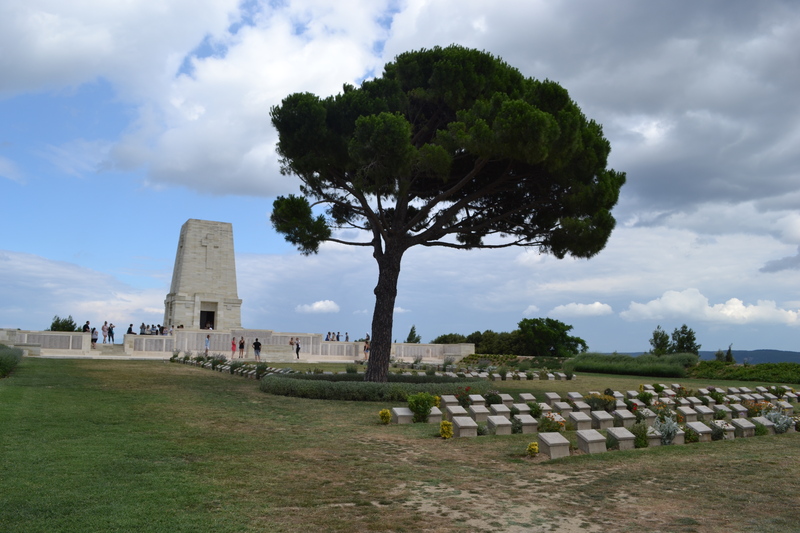 Lone Pine Cemetery, Gallipoli. P Cass, June 2014. Victor Joseph Sanders is remembered on the Lone Pine Memorial at Gallipoli, just one of many whose bodies were never found and never laid to rest. He is also remembered on the grave of his mother and sister in the Anglican section of the Drayton Cemetery Toowoomba (though with anomalies in fate and age). It was his eldest brother, JW Sanders, who inherited the memorial scroll and plaque, King’s Message, 1914-1915 Star (#2169), Victory Medal (488) and British War Medal (513). Hopefully they are being lovingly cared for and treasured by Victor’s family to this day. 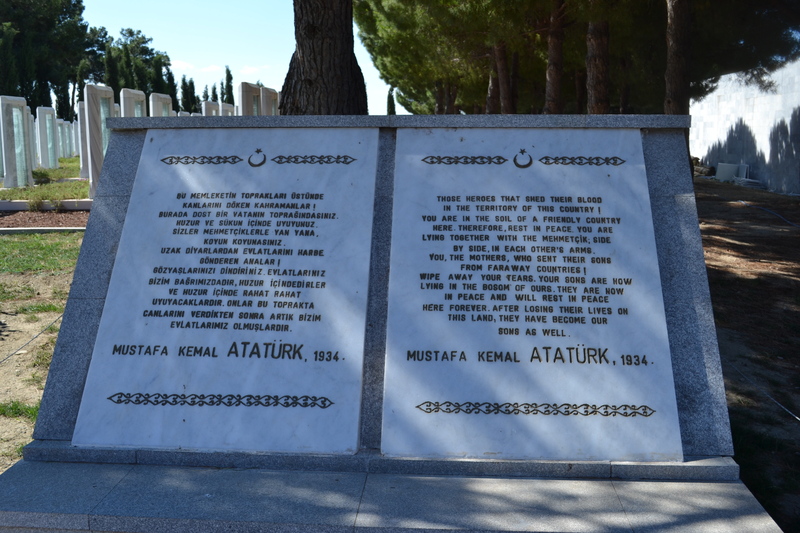 The words of modern Turkey’s founder, and a Gallipoli military leader, show respect and consolation for the families. [ii] Ironically Vic’s mother had connections with the Qld railway line and so was probably familiar with Murphy’s Creek, one of my One Place Studies. http://nla.gov.au/nla.news-article25320723. Parents details from attestation files and Qld BDM online indexes. [iii] The relationship is stated in the Roll of Honour circular. 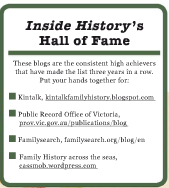 [iv] Son of Charles Fortescue, a Toowoomba jeweller, and Emily Elizabeth Sanders. Awarded a Military Cross for his actions on April 25th-29th during operations near Gaba Tepe “For gallant conduct. He twice led charges against the enemy and rendered good service in collecting reinforcements and organising stragglers”[iv]. (Charles Fortescue, Lt, requested commission 17 Aug 1914, aged 21y 3 mos, jeweller. [xi] Bean, however, didn’t go along with men like Major Fortescue, who spoke of a solid mass of Turkish bullets and a cacophany of bugle calls. “Neither then nor at any time later,” Bean concluded, “was the beach the inferno of bursting shells and barbed-wire entanglements and falling men that has sometimes been described or painted.” Turkish artillery, in particular, didn’t start to fire shrapnel until 5.10am (some reports said 4.45 am), or about an hour after the first Australians landed. [xiv] Attestation file, Victor Joseph Sanders.